A Department of Corrections officer was arrested this week at a Walmart for shoplifting. The perpetrator was a former Walmart employee who had left to become a corrections officer. The incident was reported to the authorities, indicating the amount stolen was around $400 dollars during 45 visits at that particular Walmart. The retail industry loses billions of dollars due to employee theft and shoplifting. It is more difficult when former employees that were in charge of the loss prevention department or have worked there are arrested because of a shoplifting incident they are committing. This month a shoplifter; a corrections officer and former Walmart employee has been charged with 5 counts of shoplifting that happened at the Walmart he used to work for. What is the solution to this problem? How can the retail industry prepare itself for the many shoplifting incidents that occur every day at their stores? Many industries experts agree that training is the logical solution. Training, constant vigilance, and state of the art technology that can help prevent, deter and even stop shoplifting while is happening. For more news about shoplifting, follow the links below. A onetime Walmart loss prevention officer was arrested Friday for shoplifting from his former employer. George Smalling, 38, of Pasco, was booked in the Franklin County jail on five counts of shoplifting in what the Pasco Police Department described as an “interesting” case. According to the police department, Smalling worked at the Pasco Walmart pursuing shoplifters until he left in 2015 to become a corrections officer with the Washington Department of Corrections prison system. This summer, a current loss prevention officer was investigating a series of shoplifts. In connection with the investigation, the store determined that a particular man came in at least 45 times during that period. The suspect would use the self-checkout lane. He would scan one item but pass others over the reader. He would pay for the scanned item and then leave. Shoplifter attempts to steal laundry detergent. Does not get away clean. Police are asking for your help to find a shoplifter. If you have information about this crime, don’t try to take action on your own. Anonymous tips, including photos and videos, can be submitted by texting LEXPD plus the tip to CRIMES (274637). Information can also be sent anonymously through Bluegrass Crime Stoppers at 859-253-2020 or Bluegrasscrimestoppers.com. This week’s Crime of the Week involves a shoplifter who struck the Kroger store on Bryan Station Road. A 25-year-old man was arrested Monday in connection with shoplifting after police say he hid steaks in his pants and left without paying at a Myrtle Beach grocery store, according to a police report. Payton Christian Abbott, 25, was cited in connection with shoplifting, online jail records show. Myrtle Beach officers were called about 11:30 a.m. to the Walmart Neighborhood Market at 3915 N. Kings Hwy. in regards to an alleged shoplifting incident. For some consumers, it is a bit hard to understand the shoplifting issues facing the retail industry today. It is a surprising and scary fact that the retail industry losses approximately $13 billion dollars in stolen goods yearly, and the uncollected taxes along with them. Retailers across the nation invest in theft-prevention technology to help them deterred the shoplifter without involving the authorities. Some of the technology involved includes smart tagging, source tagging and entry sensors. For more about the impact of web and mobile technologies on shoplifting prevention, click on the links below. As the separate tracks of online and mobile technology continue to evolve and converge, the challenges and the opportunities facing fraud control professionals are maturing at a similar rate. The main shortcoming of traditional search engines is that they are almost totally dependent on hyperlinks and keywords to identify what data is available online. However, less than 10 per cent of the open-source data stored on the Internet is accessible in this manner and only about 27 per cent of that is in English.The phrase “Deep Web” refers to that part of the Internet that is not indexed by traditional search engines. Estimates vary, but it is commonly thought that the data held in Deep Web repositories is 500 times greater than that normally searched by conventional means.New technologies, or the application of existing technologies in new ways, can bring both risks and rewards. Fraud control teams and investigators need to come to terms with an emerging new world order in which, not only consumers, but also autonomous devices, are responsible for some transactions, and where threats from other sectors such as banking and the unregulated payments space are increasingly relevant to anyone engaged in e-commerce. 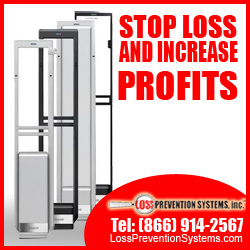 Retailers in the U.S. lose nearly $US45 billion annually as a result of theft. That’s a lot of money walking out the door. The solution is to make it harder and riskier to steal things, according to Dr. Hayes, director of the Loss Prevention Research Council. “Retailers spend so much money on technology that is hidden,” says Dr. Hayes. “That doesn’t work.” Thieves need to understand the danger, which means having technology in plain sight. Difficult-to-open packaging can act as a deterrent, as can eye-level cameras. Hayes also advocates “benefit denial” — making products useless unless they are purchased legitimately. Supermarkets are electronically tagging baskets after thousands started disappearing out the door. Pak ‘n Save Petone has used the electronic tags since late last year, and is believed to be one of a number of supermarkets who are tracking their baskets. Several Countdown supermarkets are also keeping a closer electronic eye on their baskets. Pak ‘n Save Petone owner Leo O’Sullivan said the store had lost about 2000 baskets in 15 years but, since the tags were introduced, not one had gone missing. He did not know why anyone would want a supermarket basket, but suspected many were taken absent-mindedly, rather than maliciously, and never returned. Shoplifting is a serious issue that affects more than just the retailers being stolen from. This hurts an economy that is struggling to recover from the recent recession because shoplifters are stealing approximately 25 million dollars worth of merchandise every single day. There are several different reasons that people shoplift. A professional shoplifter is looking for a profit from reselling what he or she has stolen, but the majority of shoplifters is not professional and shoplifts for very different reasons. One reason non professional shoplifters steal is the emotional high or thrill they get from the theft. Another reason is often the lack of funds to buy what the shoplifter wants. The shoplifter may also feel that they are entitled to take what they want if they can get away with it, or if they feel it is over-priced. Not all shoplifters lack the funds to buy items, but feel pressured to steal by their peers. Emotional issues or kleptomania is a cause for some shoplifters. Whatever the reasons may be, the effect of shoplifting is hurting the economy. The attitude that many Americans have toward shoplifting is part of the problem. Shoplifting is often called the nations “silent crime” because it happens so often with so little consequence to the shoplifter. On average a shoplifter only gets caught one out of every fifty times he or she shoplifts. Retailers are primarily the ones left with trying to stop shoplifting. Fortunately there are options available to help retailers curb shoplifting in their stores. An electronic surveillance system is a great tool in spotting shoplifters, and when it is used in connection with security tags on merchandise, the two become an outstanding line of defense for the store. When potential shoplifters see a security tag detection systems at the front of a store, find security tags on the merchandise, a visible electronic surveillance system, and alert store associates, it might make shoplifters think twice about trying to get a five-finger discount from that retailer. For retailers, a good security system is a small price to pay in the struggling economy. 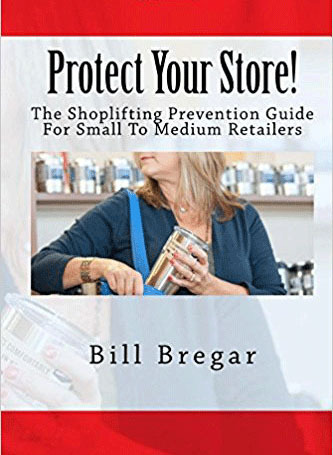 According to Wikipedia, organized retail crime indicates professional shoplifting, retail crime rings and other organized crime happening in the retail industry. Organized crime refers to professional thieves that are not taking a pack of gum only, but that consistently visit stores and shoplift hundreds of dollars every time. The FBI has estimated that the retail industry loses an approximate $30 billion a year due to organized retail crime. Retailers in South Dakota alone estimate that they loose and approximate $95 million a year due to organized shoplifting crime, depriving the state of the sales tax revenue they would otherwise collect and hurting the local economy. Reflecting back on my humble beginnings in loss prevention, I can still remember the first lesson that I ever learned; a message fundamental to everything that followed. While it may have been shared in different ways or with different words, it was the same message that all of us have heard, still echoed today in companies across the country. In fact, they’re words that most of us have repeated – many times over. But they weren’t words of shrink, or partnerships, or Five Steps. That came with time, and was built upon with experience. The words were more primal, yet far more important. Do you remember? 2013 gave us far too many examples showing just how quickly that message can be lost. Clearly, the shoplifter is making a bad decision when they make a conscious effort to steal from the store. Those actions have consequences, occasionally much more severe than might be anticipated. But sometimes the cost is much too high. People can get hurt, and lives can change forever. In some cases, lives are lost. To read more please follow the link above. Legislation to help prosecute organized retail crime in South Dakota will be proposed during the 2014 legislative session, which opens Jan. 14. “This is an issue we’ve seen exploding around the nation, and it’s starting to reach into South Dakota,” said Shawn Lyons, executive director of the South Dakota Retailers Association, which is working with the state attorney general’s office to craft the legislation. Existing statutes speak only to prosecuting the occasional shoplifter, Lyons said. Panasonic System Communications Company of North America, a leading provider of retail business technology solutions, is today demonstrating the integrated retail solutions at NRF 2014 EXPO (booth #1539). Featuring a wide variety of technology solutions designed to help meet the needs of retailers from the sales floor to the back office, delivery truck and everywhere in between, the Panasonic exhibit space demonstrates how rugged enterprise-grade tablets and wireless solutions can connect the retail environment. This connection enables stores to manage much of their technology portfolio, including surveillance systems, digital signage, point of sale and more from one handheld screen. Here are some interesting Shoplifting statistics we found over at the NASP. Shoplifting affects more than the offender. It overburdens the police and the courts, adds to a store’s security expenses, costs consumers more for goods, costs communities lost dollars in sales taxes and hurts children and families. Information and statistics provided by the National Association for Shoplifting Prevention(NASP), a non-profit organization; www.shopliftingprevention.org.